We all know eye shadows and other loose cosmetics pretty well. But, have you ever used lipstick powder? If not, then you may just have the opportunity. Korean brand, RiRe, has created such product. See for yourself, what effect provides Lip Powder. 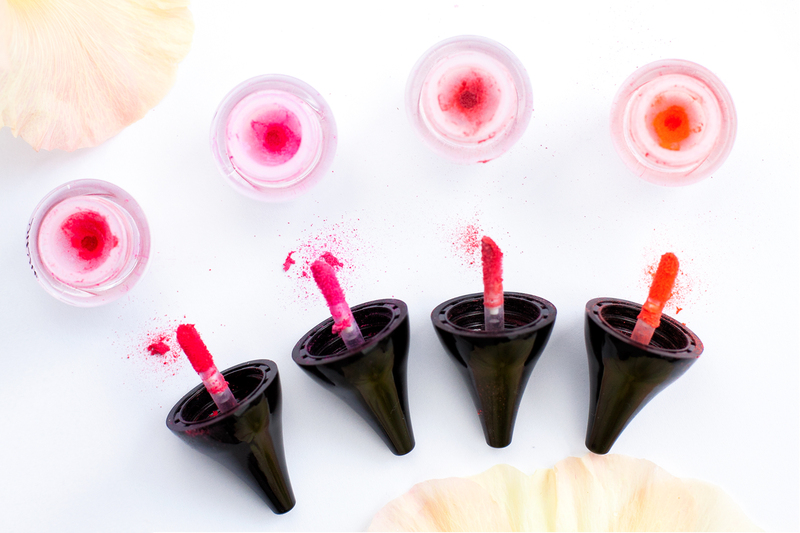 There are four shades Lip Powder lipstick offers, these are: Orange Pop, Hot Plum, Sugar Rose and Fashion Red. All shades are intense, vivid and electrifying. Cosmetics from RiRe does not make lips sticky, smoother lips, moisturise and provide light effect. The colour lasts really long, does not fade or wear down when eating or drinking. More intense colour can be achieved by applying several layers. How to use Lip Powder? There is nothing simpler than that. If you think that application of loose powder is difficult, you’re wrong. Just place applicator on lips and the result will be amazing. In Lip Powder are water particles, which at contact with skin mix with pigments and moisturising substances. The entire thing liquify and you gain deep and vivid colour. What does Lip Powder by RiRe contain? There is chamomile, pepper mint, rosemary extract and phyto-collagen, which is fermentation product of soy protein. All the ingredients ensure moisture and smoother. Chamomile calms irritations, pepper mint provides nourishment, rosemary protects against harmful external factors and phyto-collagen makes lips firm. Lip Powder lipsticks have small, colourless bottles. The applicator is small enough to reach easily lips corners and thoroughly cover them with colour. The best thing about RiRe cosmetics is that you can use it instead of blusher. This is a role that suits it perfectly. Apply as many layers as you need to achieve right effect, matching your skin complexion and make-up. « Previous How NOT to perform lip make-up?